Speaking to mediapersons in Delhi, Mr Rawat said, “Telangana chief minister K. Chandra-sekhar Rao did not speak to me. It is very unfortunate for a chief minister to say this.” He was replying to questions on Mr Rao’s statement at a media conference on Thursday that he had finalised the schedule to dissolve the assembly after speaking with Mr Rawat and the two other Election Commissioners that the TS elections would be held in November along with four other states. Mr Rawat said, “The Telangana Assembly was dissolved suddenly. We have asked for a report from the State Chief Electoral Office (CEO) regarding election arrangements. We will be able to take a decision on conducting the elections after considering several issues.” Mr Rawat said elections should be conducted within six months of the dissolution of the assembly, but the Supreme Court had said that priority be given to holding elections to a House that had been dissolved. He said it was not good to continue with a caretaker chief minister for six months. Conducting Assembly Elections in Telangana State would depend on preparedness of the state Chief Electoral Office. He said the Telangana elections might be conducted along with the four other states, before or after that. 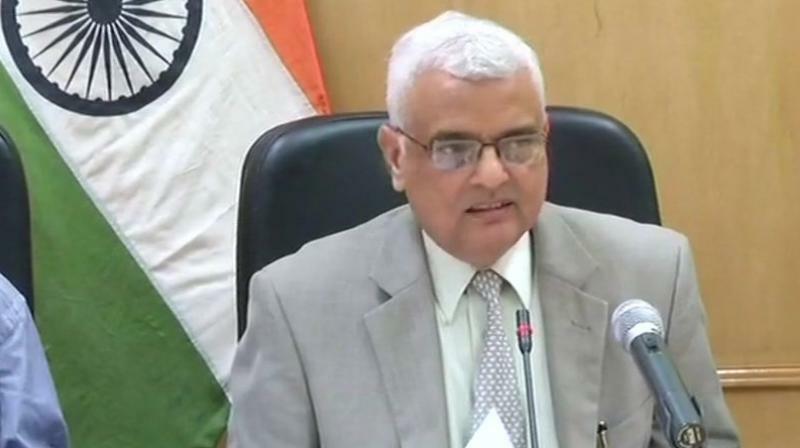 The EC has decided to send a team to Hyderabad on September 11 to study the preparedness for conducting Assembly Elections.